Darwin D. Martin was born in Bouckville, New York, in 1865. His early childhood was very difficult following his mother’s death when he was only six. The Martin family was large, with five siblings, of whom Darwin was the youngest. Darwin and an older brother went to New York City where they worked at several jobs. As a young man Martin found an opportunity to take himself to Buffalo, New York, where he was determined to secure a job with the Larkin Company, a soap manufacturing enterprise, founded by John D. Larkin in 1875. One of the first jobs Darwin held was as a “soap slinger” (a seller of soap) for the company. Through resolute hard work and what must have been considerable charm, the young Martin moved up the ladder of the company and into the corporate structure as a top executive of the company. By the early years of the twentieth-century, Martin was one of the highest-paid executives in the United States. Larkin Company, similar to its competitor Sears and Roebuck Company, specialized in the mail-order business. John D. Larkin started the company by marketing soap and then, under the leadership of Elbert Hubbard, Larkin’s brother-in-law, the company expanded its sales. The sale of two popular soaps (Sweet Home Soap, a yellow laundry soap, and Crème Oatmeal, a toilet soap) soon evolved into other products marketed directly to the consumer. While the company survived the crashes of the 1890s, the subsequent economic downturn in the later 1930s resulted in the collapse of the Larkin empire, and with it the employment and fortunes of Darwin D. Martin. As an employee at Larkin, Martin evidently had good literate, organizational and mathematical skills, as he was targeted to fill the position left vacant by the departure of Larkin’s most famous employee, Elbert Hubbard. Hubbard is well-known as the founder of the Roycroft reformist community in East Aurora, New York, not far from Buffalo. An important Arts and Crafts community, the Roycrofters strongly influenced art and architecture in the United States and abroad in the late nineteenth and early twentieth centuries. Martin eagerly fell under the influence of Elbert Hubbard and the Roycrofters and his work with Pine Mountain reflect the same belief in the use of head, hand, and heart in all presented tasks. 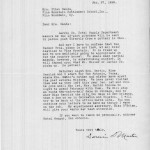 The job Hubbard filled at Larkin was as administrative assistant to the president, John Larkin, and this was the job Martin assumed and expanded. As an excellent records keeper, Martin was asked to assist in the creation of a card catalog replacement of the common ledger-book used for Larkin company records. Martin’s initiatives were exemplary and were later followed by many companies. His efforts were recognized by Larkin and were richly rewarded by the company which continued to promote him and his good work. As an aggressive competitor of Sears and Roebuck Co. in Chicago, the Larkin Company lead the way in innovations and the aggressive marketing of the company resulted in substantial revenue at the turn of the century. The rapid and profitable practices made many of the executives of the company millionaires, including Martin. It also set the stage for a rapid decline in the Great Depression as the expansion put strains on the company’s resources. One of the expansions of Larkin came under Martin’s assignment. It was to locate an architect for a proposed new Larkin administrative building. Using his brother William’s contacts in Chicago, and the recommendations of William R. Heath, another Larkin Company executive, Martin located Frank Lloyd Wright sometime around 1902 and the two men became fast friends. It was Martin who had early on made a recommendation of Wright to Elbert Hubbard and who pushed Wright as a resource when Martin assumed his executive role with the company. Martin’s endorsement of Wright’s work was ultimately instrumental in the architect’s construction of the Larkin Company Administration Building (destroyed in 1950) and for the building’s contracts and construction and for at least fifteen more architectural structures. Martin also became a source of finance for many of Wright’s projects. Because he started the processes of Wright’s work with Larkin, the architect looked to Martin as a conduit for other contracts and consultation. 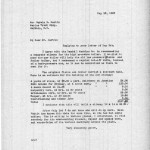 One of the contracts Martin arranged with Wright was for Martin himself. Frank Lloyd Wright soon became Martin’s private architect for a series of family dwellings and one of the most important was the so-called Darwin D. Martin Complex in Buffalo. Wright and Martin shared many things in common and they apparently had mutually supportive outlooks on life. 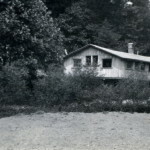 Possibly it was the difficult motherless early years of Martin’s life that inspired him to develop his Martin family complex, which consisted of several homes. 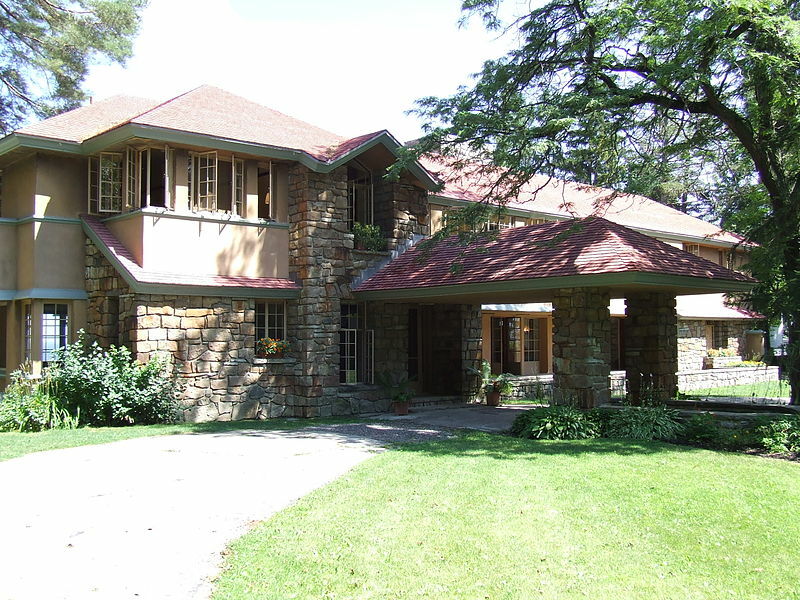 His sister Delta Martin Barton, her husband, George Barton, Darwin D. Martin and his wife Isabelle Reidpath Martin and all their children had moved into their Frank Lloyd Wright homes in the family compound by 1905. Following many years of decline following the family economic misfortunes, the Martin compound fell into a severe state of disrepair. Today it is still undergoing a $23 million dollar renovation and is recognized as a signature Wright project. The architect himself referred to the Martin compound as his “finest work” and many critics see the architectural complex as his magnum opus. 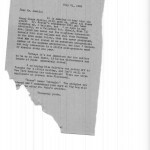 Just how Darwin D. Martin came to be associated with Pine Mountain Settlement School and how he was placed into the position of Director of the Board in 1920 is not fully known, and work continues to establish his early connections with the School. But it is most likely that Mary Rockwell Hook, Pine Mountain’s chief architect, knew Martin and his work with Wright and at Larkin. Mary Rockwell Hook, the lead architect for Pine Mountain Settlement, had a deep connection with the School and was with the institution from its beginning in 1913 until her death at the age of 100. She was possibly the contact for bringing Martin onto the Board. It is interesting that both Wright and Hook were interested in designing a “campus” around a central building, the hallmark of Wright’s innovation in the Darwin D. Martin complex. Both Martin and Hook and especially Katherine Pettit and Ethel de Long had strong interest in the Arts and Crafts Movement and had kept pace with the Country Life Movement as it waxed and waned. More research is needed to define the threads of influence that brought Martin to Pine Mountain and how he influenced the architectural decisions at the School. 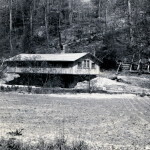 It is possible that Hook drew ideas from both Martin and Wright in her evolving site plan for the School, and the construction of some of the buildings for the Pine Mountain School campus. Small elements in Hook’s later work reflect innovations found in that of Wright. However, the retention of the signature Wright roof-line and the handling of stone differ considerably in Mary Rockwell Hook’s economically pared-down work. Yet, the strong integration of the Hook buildings into the natural landscape find comparable design features within Wrightian features. The cantilevered structure of buildings such as the very simple Boy’s Industrial Building, (pictured above) and the angular design of the early West Wind with its flat roof are also reminiscent of Wright. This earlier Boy’s Industrial Building was a long and low building constructed on a stone foundation with a large cantilever of the main structure. Elements of Wright’s design are seen in the organic manner in which the building “grows” from the hillside and in the progressive cantilever design. 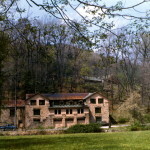 The Martin Complex in Buffalo was simply the best of Wright’s Prairie House designs, but its design features were not carried over into the Hook buildings at Pine Mountain, with few exceptions. The Jessie Preston Draper Industrial Building (pictured above) shows some elements of Wright’s influence in its original configuration. The use of native materials, its angular structural profiles and use of flat roofs with wide overhangs can be seen in some of Hook’s work on Draper and in her early design of West Wind, completed in 1941. In the Draper Industrial Building, the evidence of Wrightian influences are most noticeable. 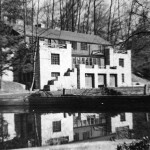 The most dramatic similarities to Wright’s work may be found in the use of materials, scale and design, resembling the lake-front summer home “Graycliff” (pictured below) that was built for Martin’s wife, Isabelle. Wright’s influence may also be seen in the later work of Mary Rockwell Hook. the Pine Mountain architect. A close comparison of Draper building at the School with “Graycliff” raises some interesting questions regarding the migration of architectural influences during the tenure of Darwin D. Martin on the PMSS Board of Trustees and following his death in 1937..
“Graycliff“, Martin’s summer home in Derby, New York, some 20 minutes south of Buffalo, was designed by Frank Lloyd Wright. It was constructed in 1927 while Martin was serving on the Board of Trustees at Pine Mountain. It is on a smaller scale than the Buffalo homes and was intended to accommodate Martin’s wife, Isabelle, who was the patron of record for the home. She had vision problems and did not like the dark interiors of the home in the Martin compound. Graycliff makes ample use of casement windows that face the open waters of Lake Ontario. It also keeps the dramatic roof overhangs to a modest size. Graycliff marks another direction in the style of Wright’s architecture that is referred to as his Organic Style, but it still retains many of the typologies of his Prairie School architecture. The yellow fieldstone on the exterior is reminiscent of the use of yellow fieldstone on the Draper Industrial Building at Pine Mountain, and Hook’s narrow overhangs show no interest in the protective but shadowing roof-lines of early Wright. Strikingly similar, however, is the stone veneered massing at each end of both the Isabelle Martin house and the Jessie Preston Draper Building at Pine Mountain. The construction of Graycliff would have come near the end of Martin’s direct association with Pine Mountain and at a time when he would have served for nearly ten years on the Board at Pine Mountain with architect Mary Rockwell Hook. Darwin D. Martin’s fortunes turned with the Stock Market crash of 1935 and he was reportedly so depleted that he could not afford to purchase the recently published book of Frank Lloyd Wright. In addition, Wright was not forthcoming with the some $70,000 which he owed to Martin. Martin died in 1937 at the age of 70 still struggling with his debts. Further, the mausoleum that Wright agreed to build for Martin, called the “Blue Sky Mausoleum”, was not constructed for him by his friend at his death. It was not until 2004 that the mausoleum was built by Forest Lawn cemetery and then it was constructed to honor both Wright and Martin. 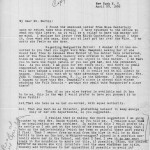 An unusual series of letters in the Pine Mountain archive also describe another Martin-Wright exchange that suggests that Martin and Wright may have had several conversations regarding Martin’s work at Pine Mountain. One series of letters concerns the Willliam Creech Memorial Fountain, intended as a monument to one of the founders of the School and a central meeting place for thirsty staff and students. Martin was an avid correspondent. As President of the Board of Trustees at Pine Mountain he kept a close eye on the School and was very generous with both his time and his money for the School. 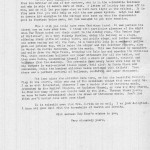 The following images are samples of his letters to and from Pine Mountain staff in 1928. 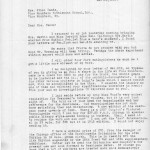 See Guide to Darwin D. Martin Correspondence for images and transcriptions of the complete collection. 1928-04-23 To D.D. Martin from Angela Melville, page 02. [martin_015.jpg] RE: succession of PMSS Director. 1928-05-16 D.D. Martin to Katherine Pettit, page 01. [martin_018.jpg] RE: conditions of Caney Creek settlement school. 1928-05-16 D.D. Martin to Katherine Pettit, page 02. 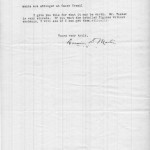 [martin_019.jpg] RE: conditions of Caney Creek settlement school. 1928-07-17 D.D. 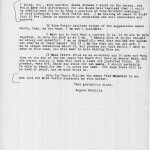 Martin to Evelyn Wells, page 01. 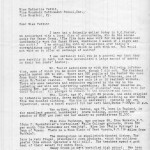 [martin_020.jpg] RE: article by Lucy Furman sent to S.C. Tozier, auditor at Caney Creek Community Center. 1928-07-17 D.D. 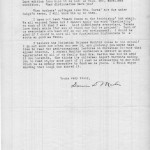 Martin to Evelyn Wells, page 02. 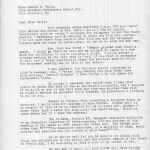 [martin_021.jpg] RE: article by Lucy Furman sent to S.C. Tozier, auditor at Caney Creek Community Center. 1928-00-n.d. To D.D. Martin from S.C. Tozier, 1 page. [martin_022.jpg]RE: conditions of Caney Creek Community Center and surveying community regarding response to Lucy Furman writing. 1928-07-21 [martin_023] Martin from Evelyn Wells, 1 page. [martin_023.jpg] RE: conditions at Caney Creek Community Center, affiliations with Wellesley and Martin’s recent letter about the conditions at school as related by Tozier. Subject LCSH Martin, Darwin D., — 1865 – 1937. Frank Lloyd Wright, — 1867 – 1959. Larkin Company (Buffalo, N.Y.) — History. Pine Mountain Settlement School (Pine Mountain, Ky.) — History. Rural schools — Kentucky — History. Rural schools — Appalachian Region, Southern. Architecture — United States — History — 20th century. Format Misc. documents, booklets, and images. Rights Any display, publication, or public use must credit the Pine Mountain Settlement School, Inc. Copyright retained by the creators of certain items in the collection, or their descendants, as stipulated by United States copyright law. 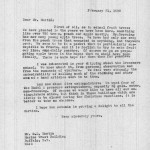 Description Core documents, correspondence, writing, and administrative papers of Darwin D. Martin. Citation “[Identification of Item],” [Collection Name] [Series Number, if applicable]. 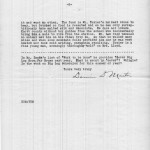 Pine Mountain Settlement School Institutional Papers. Pine Mountain Settlement School, Pine Mountain, KY, [date]. Architectural drawings of the Darwin D. Martin House and Graycliff. Martin, D D, and Frank L. Wright. Archival material. 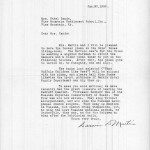 Darwin D. Martin correspondence with O.S. Lang. Martin, D. D., and Frank Lloyd Wright. 1888. Archival material. 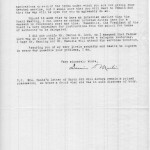 Darwin D. Martin family papers. Wright, Frank Lloyd. 1904. Archival material. Darwin D. Martin papers. Martin, D. D. 1904. Archival material. Frank Lloyd Wright collection. Buffalo, N.Y.: Biels Microfilm.Wright, Frank Lloyd. 1986. Archival material. 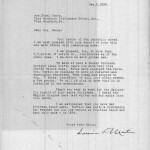 Frank Lloyd Wright – Darwin D. Martin papers. Martin, Darwin D. 1917. Archival material. Historic American Buildings Survey drawings, Frank Lloyd Wright’s Darwin D. Martin House, Buffalo, New York.Wright, Frank Lloyd. 1904. Archival material. Historic American buildings survey forms. 1964. J. D. Larkin and Company. 1875. Archival material. Jeannette Wiede collection. Wright, Frank Lloyd. 1878. Archival material. J. D. Larkin and Company records .Ketter, Robert L., and Lorelei Z. Ketter. 1954. Archival material. Martin, Darwin D., and John D. Larkin. 1892. Personal papers and Larkin Company records. Martin, D D, and Frank L. Wright. Archival material. 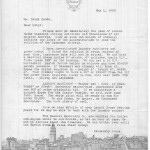 My Dear Mr. Wright: Manuscripts, Photographs, and Architectural Works from the Frank Lloyd Wright-Darwin D. Martin Collection : September 2-October 31, 1997. Buffalo, N.Y.: University Archives, University at Buffalo Libraries, 1997. Print. 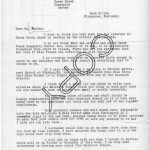 Personal papers and Larkin Company records. Wiede, Jeannette Johnson. 1931. Archival material. Records. Martin, D. D. 1883. Archival material. Robert Ketter papers. Larkin Co, and Darwin D. Martin. 1875. Archival material. World War I collection. Martin, Darwin D., and John D. Larkin. 1892. Archival material. Draft Master Plan, Draft Environmental Impact Statement for the Proposed Restoration of the Darwin D. Martin House State Historic Site, Jewett Parkway and Summit Avenue, Buffalo, New York. Albany, N.Y: New York State Office of Parks, Recreation and Historic Preservation, 2000. Print. Frank Lloyd Wright and Darwin D. Martin. Lockport, N.Y: Kenan Center, 1979. Print. Frank Lloyd Wright’s Darwin D. Martin House Complex: A Restoration Project : for Art’s Sake and Beyond. Buffalo, N.Y.: Martin House Restoration Corp, 2003. Print. Frank Lloyd Wright’s Darwin D. Martin House Complex. Buffalo, N.Y.: Martin House Restoration Corporation, 1998. Internet resource. Futagawa, Yukio, and Bruce B. Pfeiffer. Frank Lloyd Wright: Prairie Houses. Tokyo: A.D.A. Edita, 2002. Print. Heinz, Thomas A. Frank Lloyd Wright. New York: St. Martin’s Press, 1982. Print.Frank Lloyd Wright : American architect for the twentieth century Author: Sommer, Robin Langley. Print.Kotik, Charlotta, and Frank L. Wright. Frank Lloyd Wright and Darwin D. Martin: Kenan Center, Lockport, New York, December 11, 1979-January 6, 1980. Place of publication not identified: publisher not identified, 1980. Print. Lamont, Paul, David O. Stiers, and Armand Assante. Frank Lloyd Wright’s Buffalo. Buffalo, NY: WNED-TV, 2006. Print. Lubienecki, Paul E. Frank Lloyd Wright’s Graycliff: Architecture As Sacred Space. Buffalo, NY: State University of New York College at Buffalo, Monroe Fordham Regional History Center, 2006. Print. Manson, Grant C. The Darwin D. Martin House, 1904, 125 Jewett Parkway, Buffalo, N.y. Buffalo: State University of New York, 1958. Print. Martin, D. D., and Frank L. Wright. My Dear Mr. Wright: Manuscripts, Photographs, and Architectural Works from the Frank Lloyd Wright-Darwin D. Martin Collection : September 2-October 31, 1997. Buffalo, N.Y.: University Archives, University at Buffalo Libraries, 1997. Print. Pfeiffer, Bruce B, Yukio Futagawa, and Frank L. Wright. Frank Lloyd Wright: Selected Houses. Tokyo: A.D.A. EDITA, 1989. Print. Quinan, Jack. Frank Lloyd Wright’s Martin House : architecture as portraiture. New York : Princeton Architectural Press, 2004. (WorldCat). Print. Sheridan, Jan B. Frank Lloyd Wright in Buffalo and Western New York. Buffalo, N.Y: Western New York Wares, Inc, 2010. Print. Sheridan, Jan B. National Landmarks of Western New York: Famous People and Historic Places. Buffalo, N.Y: Western New York Wares Inc, 2002. Print. Stipe, Margo, Alan Weintraub, and David A. Hanks. Frank Lloyd Wright: The Rooms : Interiors and Decorative Arts. , 2014. Print. Tashjian, Karen J. S. Frank Lloyd Wright’s Gardener’s Cottage: At the Martin House Complex, Buffalo, Ny. Buffalo, N.Y: Martin House Restoration Corporation, 2010. Print. Wright, Frank L, Jack Quinan, Theodore Lownie, and Robert McCarter. Frank Lloyd Wright: Windows of the Darwin D. Martin House. Buffalo, N.Y: Burchfield-Penney Art Center, 1999. Print. Kleinman, Kent, Frank L. Wright, and Eric Jackson-Forsberg. On Wright: Frank Lloyd Wright’s Darwin D. Martin House Visitor’s Center Competition. Buffalo, N.Y.: School of Architecture and Planning, University at Buffalo, 2005. Print. Quinan, Jack. Frank Lloyd Wright’s Martin House: Architecture As Portraiture. New York: Princeton Architectural Press, 2004. Print. Quinlan, Marjorie L. Rescue of a Landmark: Frank Lloyd Wright’s Darwin D. Martin House. Buffalo, N.Y: Western New York Wares, 1990. Print. Rogers, Eileen H. Darwin D. Martin: Outlining the History of the Martin Family, History of the Reidpath Family, Significant Structures Related to the Martin Family, Martin’s Over 30 Years Relationship with Frank Lloyd Wright. Buffalo, N.Y.: The Author, 2004. Print. Buffalo History Museum, and New York Heritage Digital Collections. 2009. Buffalo Postcard Collection. [Buffalo, N.Y.]: Buffalo History Museum Research Library. http://www.nyheritage.org/collections/buffalo-postcards. Internet resource. Clinton Brown Company Architecture ReBuild, Jennifer Walkowski, and Daniel McEneny. 2009. Historic Resources of the Hydraulics / Larkin Neighborhood, City of Buffalo, Erie County, New York 14210. [Buffalo, N.Y. ]: Clinton Brown Company Architecture ReBuild. http://buffaloah.com/surveys/hydr/CBCA%20Hydraulics%20MPDF.pdf. Internet resource. Courier Company, and Chas. H. Larkin. 1899. Joseph Gorton, originator & founder of Gorton’s Minstrels and Gold Band in 1867. Minstrel Poster Collection (Library of Congress). Buffalo, N.Y.: Courier Litho. Co. Print. J.D. Larkin & Co. 1888. See our new offer: now you can get the orders! Buffalo: The Company. Print. J.D. Larkin & Co. 1890. Jingles for the juveniles. Buffalo, N.Y.: The Company. Print. Larkin Co. 1939. The Larkin catalog for 1939: two books worth having. Buffalo: The Company. Print. Larkin Co. 1902. Premium lists: 38th to 50th editions, Dec. 2, 1902 to Dec. 12, 1905. Buffalo, N.Y.: Larkin Soap Co. Print. Larkin Co. 1915. [Post card and order form]. Buffalo, N.Y.: The Company. Print. Larkin Co. 1930. The world’s greatest premium values. Buffalo: The Company. Print. Larkin Co. 1911. Larkin factory-to-family dealing. Buffalo, N.Y.: The Company. Print. Larkin Co. 1912. My Larkin clubs earned these for me. Buffalo, N.Y.: The Company. Print. Larkin Co. 1908. Good things to eat and how to prepare them: over two hundred choice recipes compiled especially for customers and friends of the Larkin Co. Buffalo, N.Y.: The Company. Larkin Co. 1911. Products and premium list: Fall/Winter, 1911-12. Buffalo: The Company. Print. Larkin Co, and Darwin D. Martin. 1875. Records. Archival material. Larkin Co, and Walter Ayars. 1990. Larkin China: a collection of china and pottery distributed by the Larkin Soap Company. Summerdale, PA: Echo Pub. Print. Larkin Co. 1906. The Larkin idea of factory-to-family dealing. Buffalo, N.Y.: The Company. Print. Larkin Co. 1912. Larkin products and premium merchandise: Fall and Winter 1912-1913. Buffalo: The Company. Print. Larkin Co. 1908. Product and premium list. Buffalo, N.Y.: The Company. Print. Larkin Co. 1913. Larkin products & premium merchandise: spring & summer 1913, 69th edition. Buffalo: The Company. Print. Larkin Co. 1920. Larkin paints: factory prices, 1920. Buffalo, N.Y.: The Company. Print. Larkin Co. 1922. The Larkin book of better homes: number x fall 1922. Buffalo: The Company. Print. Larkin Co. 1910. Spring suggestions from Larkin Co.: extra comforts without extra expense. Buffalo: Larkin. Print. Larkin Co. 1908. Products and premium list: Fall ’08 – Winter ’09. Buffalo: The Company. Print. Larkin Co. 1893. Can we break the crust? : as “a patron once is a patron always,” we are anxious to do it. Buffalo, N.Y.: The Company. Print. Larkin Co. 1925. The Larkin secretary and her club. [Buffalo]: The Company. Print. Larkin Co. 1910. A stunning foulard gown which won’t cost you a cent. Buffalo, N.Y.: The Company. Print. Larkin Co. 1913. Cozy home helper. Buffalo, N.Y.: The Company. Print. Larkin Co. 1906. The potter’s art: the Buffalo Pottery. Buffalo, N.Y.: The Company. Print. Larkin Co. 1909. The Larkin idea: the triumph outlined in a historical sketch that deals with the dawn of the idea. Buffalo: The Company. Print. Larkin Co. 1915. Pure food groceries and home supplies: May 1915, price list no. 23. Buffalo, N.Y.: The Company. Print. Larkin Co. 1910. A stove or range for your home given with the Larkin products. Buffalo, N.Y.: The Company. Print. Larkin Co. 1920. You and Larkin Co. [Buffalo]: [The Company]. Print. Larkin Co. 1905. Premium list: factory to family. Buffalo: The Company. Print. Larkin Co. 1905. The Larkin factory to family soaps and premiums: $20.00 of retail value for $10.00. Buffalo: The Company. Print. Larkin Co. 1926. Homemakers with the spirit of the new age: for happier homes, catalog no 95, spring & summer 1926. Buffalo: The Company. Print. Larkin Co. 1903. Premium list: confidential to our patrons. Buffalo: The Company. Print. Larkin Co. 1911. The Larkin home helper. [Buffalo, N.Y.]: The Company. Print. Larkin Co. 1910. Larkin ready-mixed house-paints, floor-paints, and varnishes: sample color card. Buffalo, NY: The Company. Print. Larkin Co. 1906. Premium list: factory to family. Buffalo: The Company. Print. Larkin Co. 1915. The Larkin factory-to-family plan. Buffalo: The Company. Print. Larkin Co. 1920. The Larkin plan: factory to family. Buffalo: The Company. Print. Larkin Co. 1916. The Larkin plan: factory to family. Buffalo: The Company. Print. Larkin Co. 1921. The Larkin plan: factory to family. Buffalo: The Company. Print. Larkin Co. n.d. Larkin wall-paper. Buffalo, N.Y.: The Company. Print. Larkin Co. 1907. Product and premium list. Romaine Trade Catalog Collection. Buffalo, N.Y.: The Company. Print. Larkin Co. 1914. Extra comforts without extra expense: [catalog]. [Buffalo, N.Y.]: The Company, [1914?]. Print. Larkin Co. 1910. Spring suggestions from Larkin Company extra comforts without extra expense. Buffalo: The Company. Print. Larkin Co. 1915. Pure food groceries and home supplies April 1915 price list no. 22. Buffalo, N.Y.: The Company. Print. Larkin Co. (Buffalo, N.Y.). 1910. The patent perfection hook cupboard. Buffalo, N.Y.: The Company. Print. Larkin Co. (Buffalo, N.Y.). 1927. Catalogue no. 97, Spring-Summer 1927. Buffalo, N.Y.: The Company. Print. Larkin Co. (Buffalo, NY). 1910. The Larkin wall-paper book, no. 4. Buffalo, NY: The Company. Print. Larkin Co., Inc. (Chicago, Ill.), and Alex O. Levy. 1922. The Larkin plan: factory to family. Buffalo: The Company. Print. Larkin Company Inc. (Buffalo, N.Y.). 1926. Catalog no. 96, fall and winter 1926-27. Buffalo, N.Y.: The Company. Print. Larkin Company Inc. (Buffalo, N.Y.). 1926. For happier homes: catalog no. 95, spring and summer 1926. Buffalo, N.Y.: The Company. Print. Larkin Family. 1873. 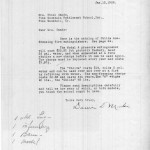 Larkin Family Papers. Print. Larkin, John D., and Elbert Hubbard. 1885. Letterpress copybook. Archival material. Larkin, John D. 1865. Account book. Print. Larkin Soap Company. 1910. Illustrated catalogue. Buffalo, NY: The Company. Print. Larkin Soap Company. 1890. You must have soap! Buffalo, N.Y.: Larkin. Print. Larkin Soap Company. 1900. Factory to family, 30 days free trial: the Larkin idea, save all cost which adds no value. Buffalo, N.Y.: Larkin Soap Co.
Larkin Soap Company. 1899. The Larkin idea: factory to family, 30 days free trial. [Buffalo]: The Company. Print. Larkin Soap Company. 1903. Premium list. Print. Larkin Soap Company. 1901. The Larkin idea, save all cost which adds no value. Print. Larkin Soap Company, and Larkin Co. 1900. The Larkin idea. [Buffalo, N.Y.]: Larkin Soap Co. Print. Larkin Soap Manufacturing Company. 1870. The Boston Museum of Art. Boraxine has for many years cleaned everything at the Boston Museum of Art. … The Larkin Soap Mfg. Co. Buffalo, N.Y. [Buffalo]: The Larkin Soap Mfg. Co. Print. Larkin Soap Manufacturing Company. 1893. Can we break the crust? : as “a patron once is a patron always,” we are anxious to do it. Buffalo, N.Y.: Larkin Soap Mfg. 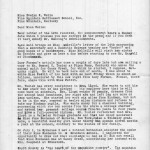 Co. http://nrs.harvard.edu/urn-3:HBS.BAKER:409751. Internet resource. Larkin Soap Manufacturing Company. 1893. Supplement no. 1 to 1893 premium list, July 1st, 1893. Buffalo, N.Y.: The Company. Print. Larkin Soap Manufacturing Company. 1890. How Margaret earned a beautiful solid oak, Chautauqua desk. Buffalo, N.Y.: Larkin Soap Mfg. Co. Print. Larkin Soap Manufacturing Company. 1870. A substitute soap Boraxine … The Larkin Soap Mfg. Co. Buffalo, N.Y. Buffalo: s.n. Print. Larkin Soap Manufacturing Company. 1800. [J.D. Larkin & Co. advertising booklet]. Buffalo, New York: J.D. Larkin. Print. Martin, D. D. 1904. 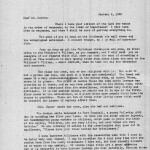 Darwin D. Martin correspondence with O.S. Lang. Archival material. Martin, D. D., and Frank Lloyd Wright. 1888. Frank Lloyd Wright – Darwin D. Martin papers. Archival material. Matthews-Northrup Company. 1899. The “sweet home” atlas of the world: an adequate atlas for the homes of the Larkin patrons. Print. New Amsterdam Casualty Company. 1960. Larkin Terminal Building photographs, 189 Van Rensselaer Street. Archival material. Olson, Craig R. 1993. The evolution of the Larkin Company and its advertising premiums, 1875-1900. S.l: s.n.,]. Print. Olson, Craig R. 1993. The evolution of the Larkin Company and its advertising premiums, 1875-1900: a thesis. Thesis (M.A. )–State University of New York. College at Oneonta. Cooperstown Graduate Program. Print. Pritchard, John W. 1900. My visit to the Larkin factories. Buffalo, N.Y.: Larkin Company. Quinan, Jack, and Frank Lloyd Wright. 2012. Frank Lloyd Wright’s Buffalo venture: from the Larkin Building to Broadacre City : a catalogue of buildings and projects. San Francisco: Pomegranate Communications, Inc. Print. Smith, Gregory. 1988. Bishop Manor and Barcalo Company research papers. Print. Wiede, Jeannette Johnson. 1931. Jeannette Wiede collection. Archival material. Wright, Frank Lloyd. 1878. 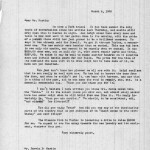 Darwin D. Martin family papers. Print. Wright, Frank Lloyd. 1904. Larkin Building floor plans. Buffalo, N.Y.: Biel’s Microfilm]. Archival material.